Welcome to Coltrain Country Radio the home of The Country Breakout Show bringing you latest country songs currently adding at radio. 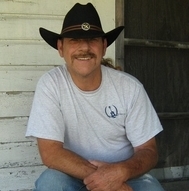 Brought to you each week by your host country music singer, songwriter & producer J. K. Coltrain. Our weekly playlist is hand-picked each week by our staff of experts who search out the hottest new songs currently impacting radio. Artists are welcome to submit material for possible inclusion in our shows. However we can make no guarantees that your song will be aired and no materials will be returned.